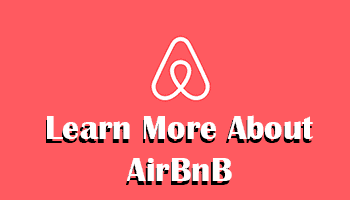 It’s a destination that’s becoming more and more popular among tourists, and after I had traveled around the country for 1 month, I totally understand why. Poland is awesome in so many ways, and there are lots of beautiful places without massive hordes of tourists, and the people are fun and lovely. 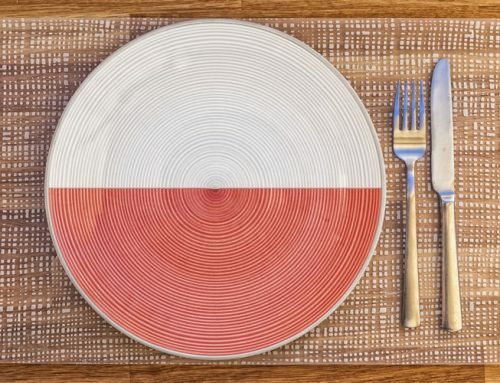 If you travel for food, you’ll be happy to visit Poland. There are countless of delicious dishes available, and restaurants have reasonable prices. Portions are often large as well, so you won’t go hungry. 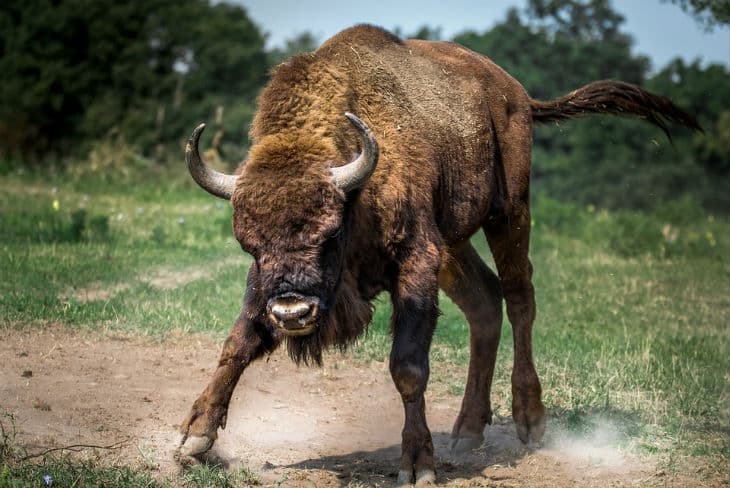 Part of the Unesco heritage site list, and home to about 800 European bisons as well as being the last remaining primeval forests and home to 500-year old oak trees. 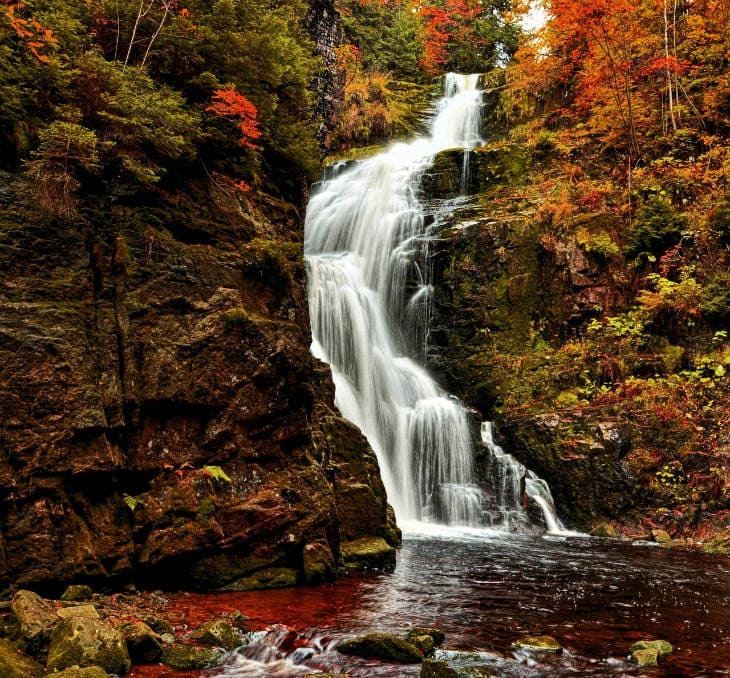 It’s a lush forest that any nature lover should write down on their list of places to explore! This town became quite famous in Sweden a couple of years ago when Ryanair offered flights from just 2 Euros, and after visiting I also agree that this is one of the most beautiful cities in Poland. Rich in history, close to the sea, nice restaurants, and beautiful old buildings. Gdansk is definitely a good reason to visit Poland! Want to pamper yourself with some nice spa-treatments? Then you definitely have a good reason to visit Poland! 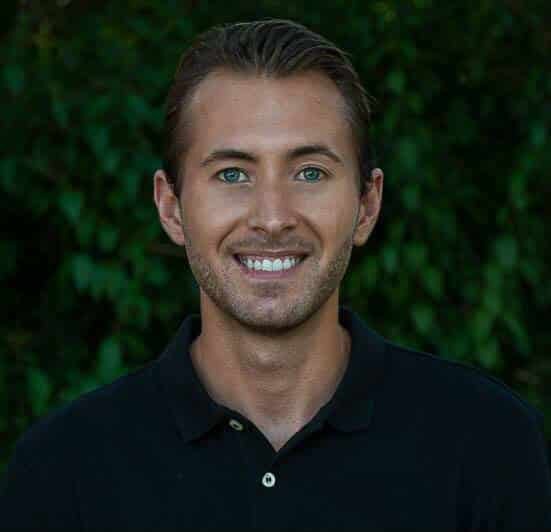 Treatments are of high-quality and reasonably priced. There are various facilities and almost every city has a great Spa you can go to. While Russia is famed for vodka worldwide, Polish vodka is just as good or even better in some cases. 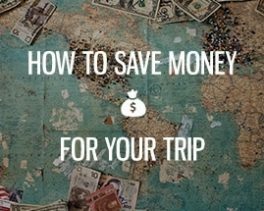 It’s also very cheap compared to other countries in Europe. So, when you visit you should definitely follow along on a vodka-tasting tour. This charming medieval town is situated in the middle of the country. 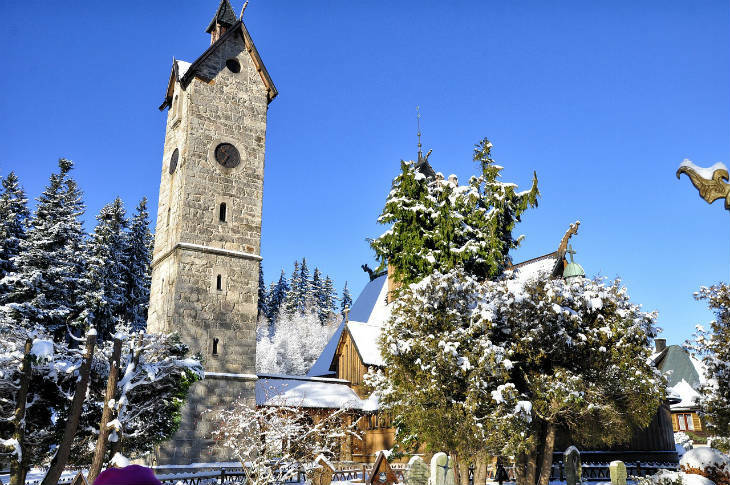 It’s famous as the birthplace of Nicolaus Copernicus, and it’s also a Unesco Heritage site. 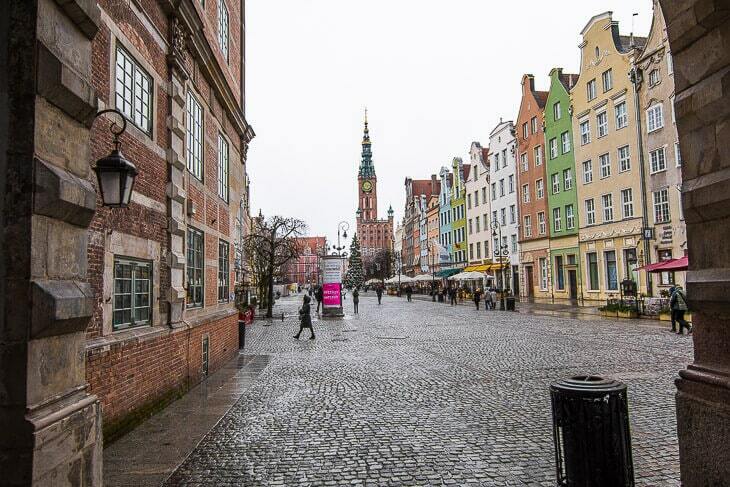 Torun is often nicknamed the Krakow of the North as it has been an important trade center since medieval times. The capital of Poland is a beautiful and modern city with lots of charming and cool places to see. The Palace of Culture and Science is especially beautiful and also the tallest building in the country. 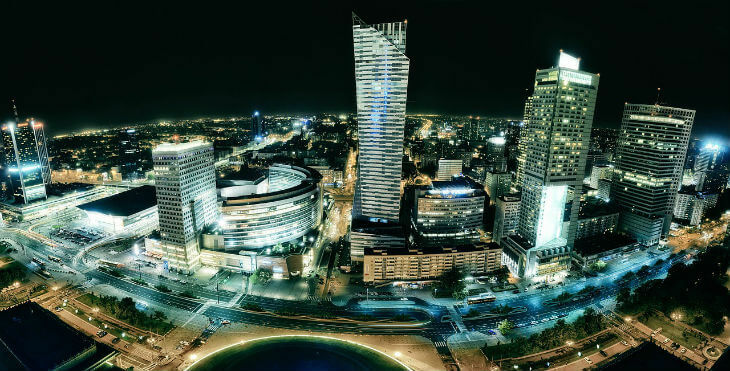 In Warsaw, you can enjoy some of the best nightlife scenes in Europe, eat at first-class restaurants, go shopping for hours, visit the cool artsy metro stations or just take a nice stroll in the old town. One of the Polish UNESCO heritage sites. 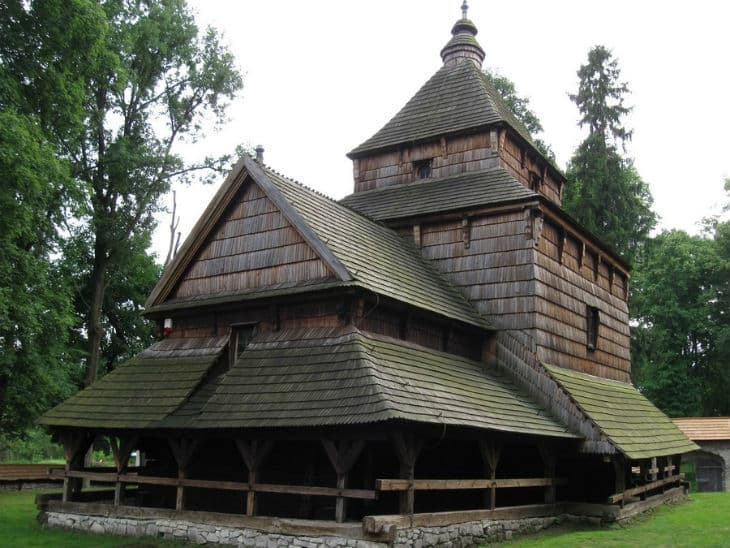 This is a particular church that is situated in the village of Radruz in the Carpathian region. What’s cool about it is the unique architecture and wooden structure. Did you know that Frederic Chopin was Polish? He and many more composers, pianists and musicians come from Poland. Nowadays you will find almost any genre and each year various music festivals are held throughout the country. Poland is an old nation that goes way back in time, and it has been part of various rulers and eras. While not everything is intact, you can definitely see the various influences of the different epochs. A lot of the rich history can still be seen and experiences today in museums and old towns throughout the country. 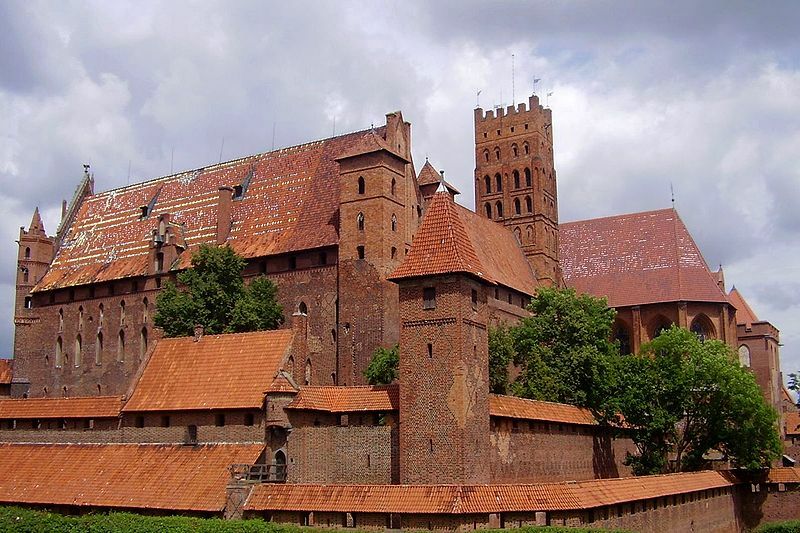 A very well-preserved castle that belonged to the Teutonic Order in Malbork. It’s also one of the Unesco heritage sites and yet another good reason to visit Poland! Just look at this enormous castle, not something you get to see every day. Polish handicrafts are often well-made and can be everything from traditional lace and the Lemko glass bead collar to weaved baskets and clothing. It’s probably cheaper in your home country, and they can also be bought as a nice gift or souvenir. To be honest, I only went here because the flights were super cheap from Sweden, but I was happily surprised of Poznan. I didn’t know much about this place, but we spent 2 days here, and I could go back in the future. The old town is so charming and beautiful. Yes, Poland has some amazing beaches! And in the summertime, they can get pretty crowded, but they are still gorgeous, and could easily compare to more tropical sand beaches. 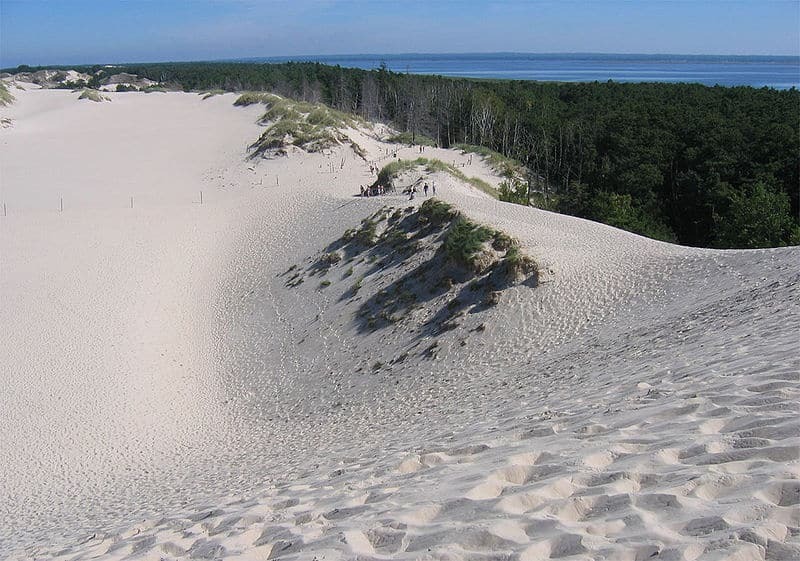 The beaches of Poland are situated in the northern parts. The 4th largest city in Poland built back in medieval times. It was named as the cultural capital of Europe 2016, and rightly so. It’s one of my favorite cities with lots of beautiful old buildings in various colors. One of the larger cities in Northern Poland with more than 400 000 inhabitants. A lot of the city got destroyed during world war II, but you can for example still see the Gothic town hall and the 13th-century castle that belonged to a Pomeranian Duke. A renowned Spa-destination with sandy beaches and great treatments. Sopot is great to combine when you visit Gdansk as it’s very easy to go between these two cities. It’s more of a summer city, so don’t expect it to be crowded other times of the year. A horrible place with a very important lesson to future generations. What happened here shall never (hopefully) happen again, and even though it’s not a fun tourist attraction, it’s definitely an important place to learn from. A cosmopolitan city with about 400 000 people living there. Bydgoszcz is a buzzing city with several universities and an important cultural center with one of Poland’s best concert halls. 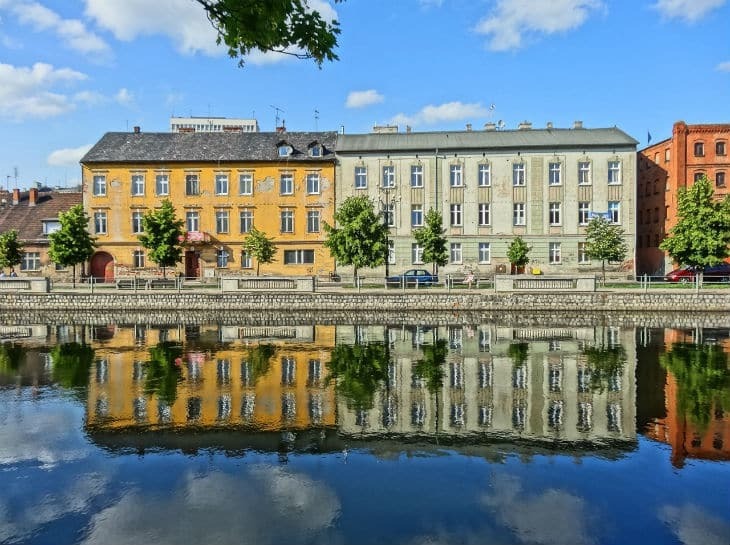 Here are plenty of buildings from the 1800’s and 1900’s, and is beautifully situated along the Wisla and Brda river as well as the Bydgoszcz canal. Flower lovers should visit Poland during spring when they are in full bloom. 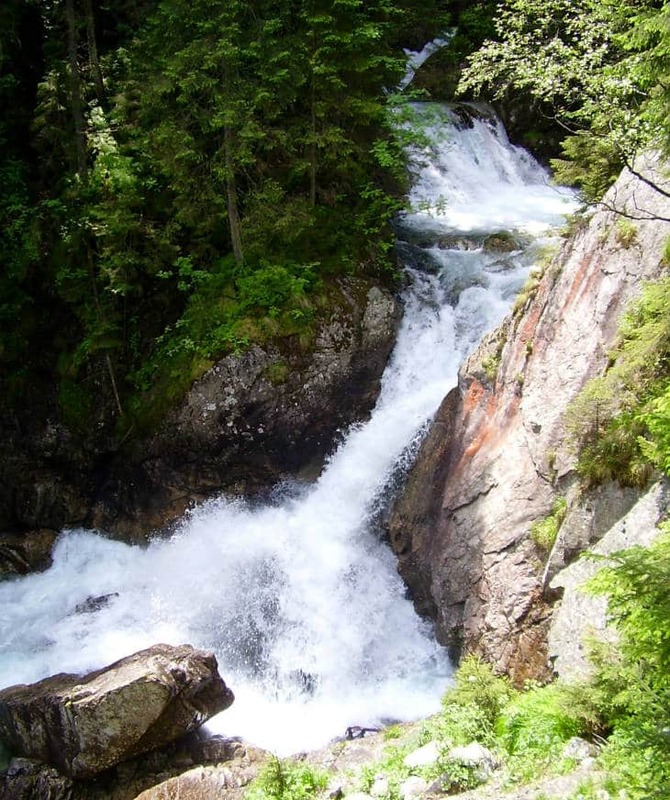 It’s very beautiful, especially in mountain areas such as the Tatra national park. 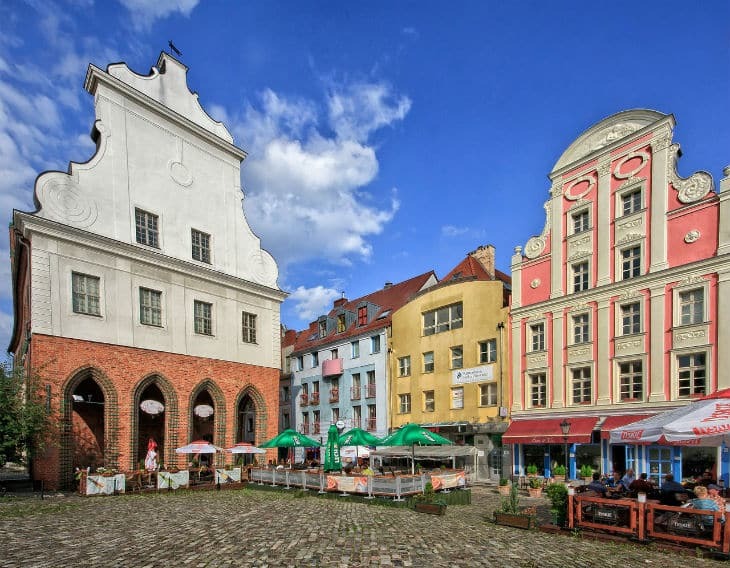 Another well-preserved medieval town in Poland with plenty of attractions to see. 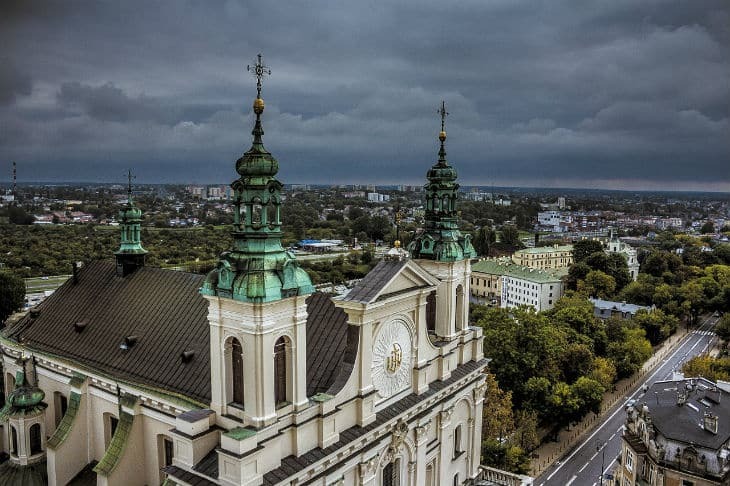 It’s not one of the common tourist spots, but if you have time for it, you might be surprised by everything that Lublin has to offer its visitors. When traveling around here, you’ll be met with great hospitality. A lot of Poles are noble and traditional, but they’re also original and progressive in many ways. I like the polish people because they are not afraid to speak up, but at the same time, they’re friendly and knows how to take care of their guests! I would suggest tourists to learn a few words in Polish, not because you have to, but rather to show respect and appreciation. It’s a lot nicer if you say “Siemka” or “Dziękuję” instead of hello and thank you. Learn the most common phrases and words, and I will assure you that you’ll be having the best time ever in Poland! Check out my Instagram if you want to see some more photos from Poland and my travels. Next time you should visit also Łódź. We have the biggest city forest ( Łagiewniki) in Europe. It’s town of 4 cultures. If you’re interested in astronomy you should check EC1. https://theculturetrip.com/europe/poland/articles/the-top-10-things-to-do-and-see-in-lodz/ <- here you have some more information also. In some ways architecture in Łódź is similar to this in Helsingborg. Hope you’ll have a chance to visit it. I agree! Łódź is one of the most underrated cities. There are hundreds (thousands?) of beautiful richly encrusted tenement houses, many renewed old factories with new commercial functions, the longest trade street in Europe (Piotrkowska st), the newest, the biggest and the most beautiful railway station in Poland and many many more! About the 15th point on your list: here, in Poland we have an actual desert. It’s called Błędów Desert and it’s about 40 kilometers away from Cracow. This place is one of the biggest deserts in Europe and it’s truly beautiful, especially during the sunsets in summer or spring. You should definitely visit it and add to your list! In the Błędów Desert, Afrika Korps trained under the command of Rommel and tested his equipment before moving to Africa. You’re quite right ! the ogorki kiszone is, as to me, the real national symbol, available everywhere in the country, so that it should figure in the national flag :-) so tasty ! I love Poland; specially Warsaw which is, for the last years, and the coming one, THE most dynamic City in Europe. What an amazing evolution, hard to believe, every year new projects realized. Come on Poland, Varso : Vie ! Join Pole Rail. The Polish railroads are superior. So easy to travel by rail in Poland. While we may curse the quality of Polish Railways, people from the USA may think of them as of reliable mean of travel – the reason is simple, people in the US dont travel by train, it is not as developed there as almost anywhere in Europe. You probably havent Travel by train in a long time,they are getting Better with every year ,honestly. Nothing to be ashemed on anymore. Haha Siemka! Thank you for this list and the point 53 in particular (I’m from Lublin). I travel a lot and I usually read such accounts on other countries, it’s so nice to realise that Poland is also considered worth visiting by foreign tourists! I am from Bydgoszcz and I can say that it is very beautiful city. Near Bydgoszcz is Ostromecko. It is a small village with a most beautifoul palaces. Gdynia, Gdańsk and Sopot together are called Twójmiasto, witch means tree cities. 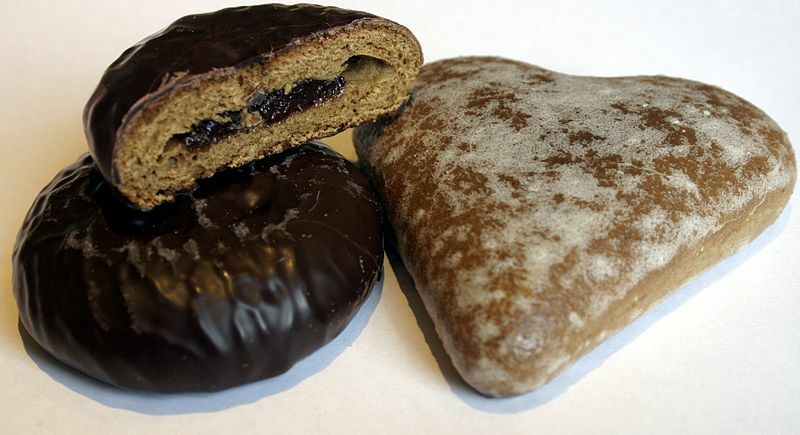 The best pierniki comes from Toruń. The name – Hel with not double letter “l” means name of the land in Poland. I agree about Zakopane. My favorite in Poland. Actually, the tallest building in Poland is in Wrocław, the Skytower. And gingerbreads are the best in Toruń – the town is famous for them. Mazurek! You need to try Mazurek next time. It’s a sweet flat cake in a sweet cover, baked in Poland for Easter. 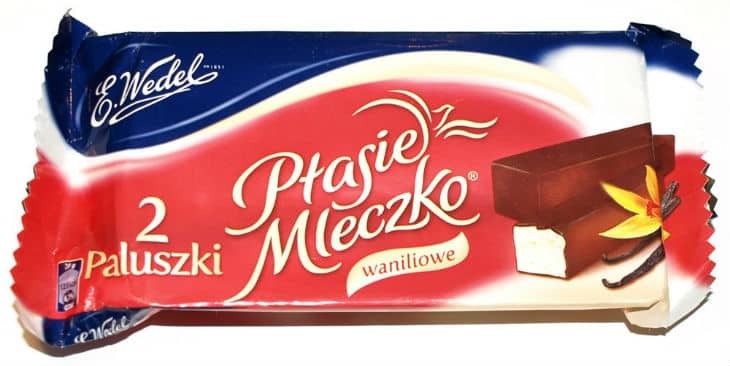 You can also eat it while listening to Mazurek – “Mazurek Dąbrowskiego” is polish national anthem. 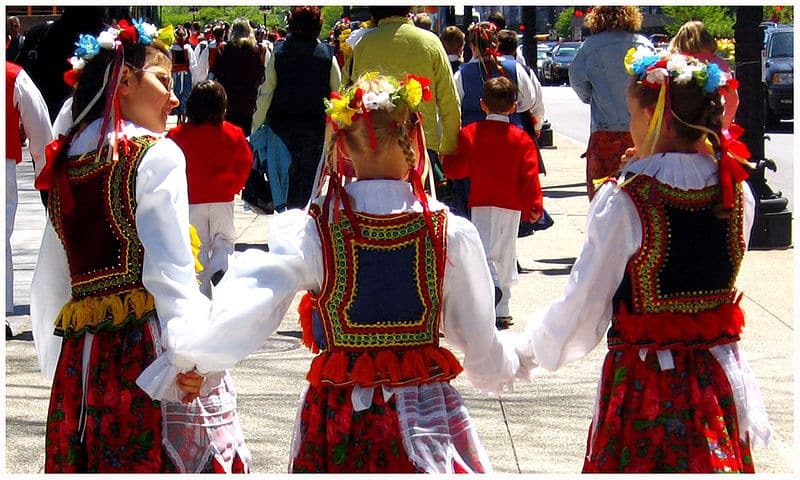 You can also watch Mazurek – Mazurek is a Polish folk dance in triple meter. How could you missed that? :-) Vi ses! I’m from Colombia and I spent about 3 weeks between Gdansk, Warsow and Krakow last December and I really loved it. I hope I have the chance to go back and spend more time there. I loved the food, specially all the kinds of soups, lovely girls, good beers, nice and friendly people and a lot of respect and admiral because of how brave and courageous they have been through all their hard history. it makes me so miss my country :)! right now I am in Portugal, I’ve been travelling so much lately but I can’t wait to go back to Poland in next month. I am so glad that you appreciate our country so much, we are really proud of what we have but still most of people called us empty and poor east country. c’mon, guys! you are more than welcome to see and try our krówki, ptasie mleczko and pierogi! we would love to be your host! Reading your post is like literally digging in my own thoughts :) I’m also in Portugal now, if you feel like it hit me up, I’m in Faro :) let’s grab a coffee! 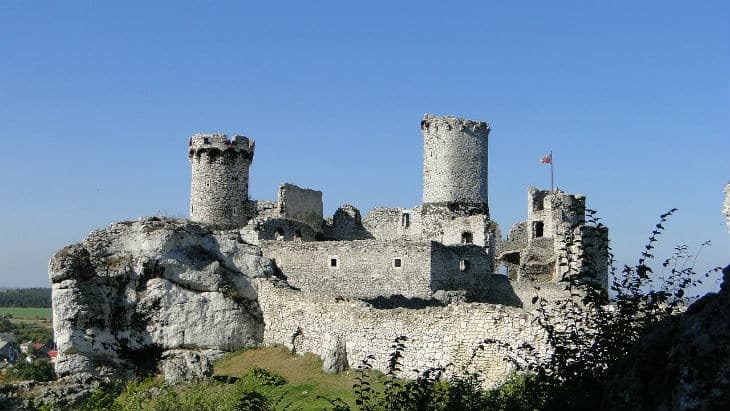 What about castles in Dolny Śląsk and Sudety mountains? 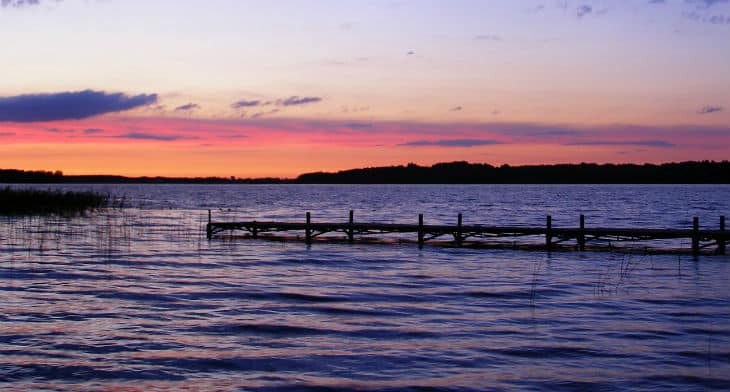 What about Mazury lake district? Sandomierz and other small, but cute towns? The lake district is on the list :) I’m sure your other suggestions would make a great fit as well, thanks for sharing! -While reading the post i got confused 4 a few times. Then i stopped and was thinking… what the hell is that?! And then I was like: aaah its (…)! It looks so different, weirdly without polish marks! Yes, POLAND IS WORTH visiting! Thank you for all the nice words about my country. I am away now, hope not for long, but your article made me smile and cry at the same time. I miss my birthplace ! I invite all to see the country of rich heritage and culture, of vibrant cities and quiet Forrest’s, one of the safest in Europe. If you’re ever back in Poland, check out other mountain regions as well as Bielsko-Biała, which is a city at the foot of Beskida mountains, and Pszczyna, a small town with a beautiful palace and Old Town, a beautiful park, old village (Skansen) and a small bison centre as well as the Museum of the Silesian Press, and many more. There is fantastic skansen (old village open air museum) in Wdzydze Kiszewskie and it is placed by the huge and pretty lake called Wdzydze. It is good area if you like sailing on lakes or kayaking on rivers that are in area. Also you can visit Rewa. It is village close to Gdynia. It is interesting place to see. There is a headland and you can walk to the end having the sea on both sides :) This place is paradise for windsurfers and kitesurfers. I love my country. But you are acting like an ambassador of Poland, thank you. As you mention “my” Lublin, would definitely recommend Kazimierz Dolny nad Wisła. Amazing town!!! Someone says: next time go to Hel. This is real place in Poland. I think you could google this ☺ Very good points form your time in Poland. It’s much more to see and probably not possible to write about everything. Thanks for the 55 reasons. Sandomierz, Kazimierz, Gniezno, Zakopane, Museum of Polish Jewery in Warsaw (the Best Museum in Europe in 2016), & .the Girls are Spectacular !!! 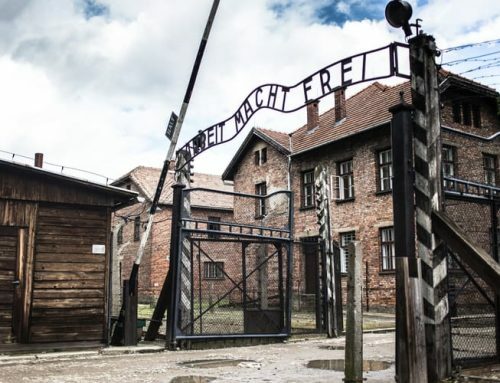 It is necessary to mention that Auschwitz-Birkenau was a concentration capm built by Germans during Word War the Second when Poland was occupied. Just to remember. Hi. Great list. Missing Biebrza Marsh (one of the biggest in Europe) and Bieszczady Mountain. Both location are unique because of wild nature. Beautiful cites are everywhere in world..
No one mentioned oscypek, traditional smoked sheep cheese made in the mountain regions by gorale (highlanders). It tastes exceptionally well grilled with cranberry preserves and mulled wine. That’s what I miss everyday living in Florida full time. I also love Slask (Silesian region), where I come from. Fairytale pine forests in the mountains, beautiful old towns with castles and palaces are also worth a visit. I am proud of being in Poland and Polish woman. It is amasing that such a grey and sad country during socialism times, became so beautiful and attractive. Thank you Mr. Alex for keeping us Polish people in this feeling. Your country is beautiful, too. I have been to Sweden twice and remember there shops full of food while in Poland there was nothing in our shops in 80′. I was shocked the difference when I was a child and I never forget that. Thank you for good recommendations about Poland. I recommend visiting extraordinary Castle Museum in Łańcut 20 km from Rzeszow City. It’s nice to learn that so many things we know as “just normal” and take for granted are attractive and new to visitors. As a resident of Gdańsk I am very pleased to see my city quite high on the list. The old town is a must-see and you can have a nice walk through it, with all the cafes and restaurants (just visit Piwna Street) but if you are in Gdańsk there are many good museums to visit: the National Museum with a gallery of medieval art and “The last judgement” an absolute masterpiece; the Maritime Museum; the Museum of Amber; the Museum of the 2nd World War. 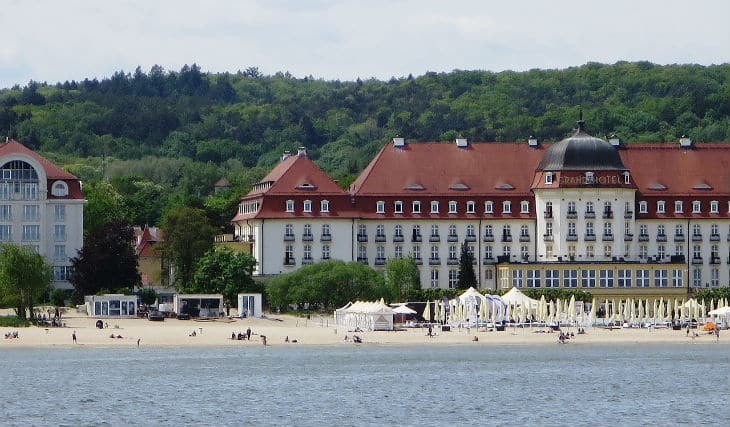 If you are more of an outdoor person, go to Brzeźno in Gdańsk and walk along the beach up to Sopot (in summer you will probably be able to hire a bike and ride it along a well-maintained bike route (cafes and restaurants on the way). And if you are into handicrafts, plan your trip so as to visit in time for the St. Dominic’s Fair in Gdańsk (first 2-3 weeks in August). It’s very, very nice to read that someone liked our country (and our sweets) so much. Next time necessarily visit Bory Tucholskie- it’s magic place and I hope you’ll like it. You must taste Polish honey. Polish food is the biggest reason why I went to Poland for the first time and I fell in love with this country, so I go back regularly now. My favorite Polish destination is the capital, Warsaw. I love exploring its restaurants, especially those with traditional Polish food. My favorite one so far is the Akademia in Mokotow. They have the best pierogi, but actually everything I have tried there was always excellent. I can’t wait to go there again! You have to come back to Poland, we have many many more places worth to seeing! Thank You For this text, its very nice than people appreciate our country! Everyone should definitely taste Soplica Orzech Laskowy, which is a hazelnut vodka. It was “the thing” during my exchange studies on Warsaw. Still miss it a lot since it can’t be bought from my home country. And discopolo -music should ne tested also when visiting Poland. This article in general makes me miss my “home country for 5 months”. Next time you should stop by Wadowice. I am sure tourists from Brazil especially will love this place as they loved polish Pope dearly. 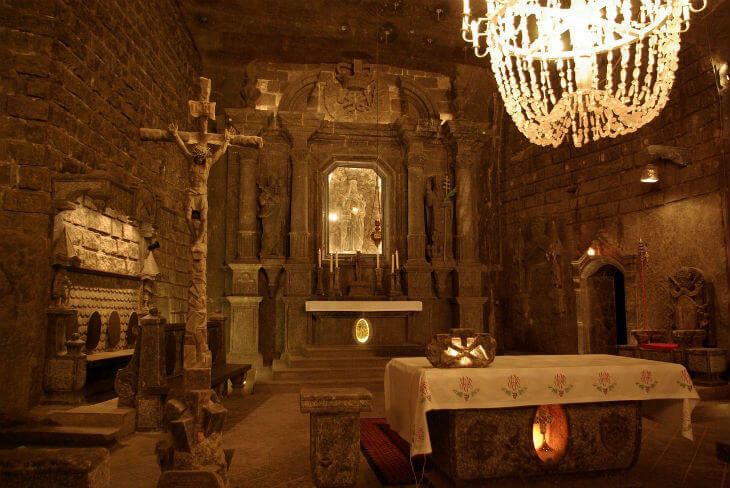 It’s a birth town of Pope John Paul 2, that place has a lot of museums one of them showing his house itself and a cathedral that he used to preach in. They also sell kremowki there it’s Popes favourite cake and I guarantee you everybody who likes sweets will absolutely love this cake ❤❤. 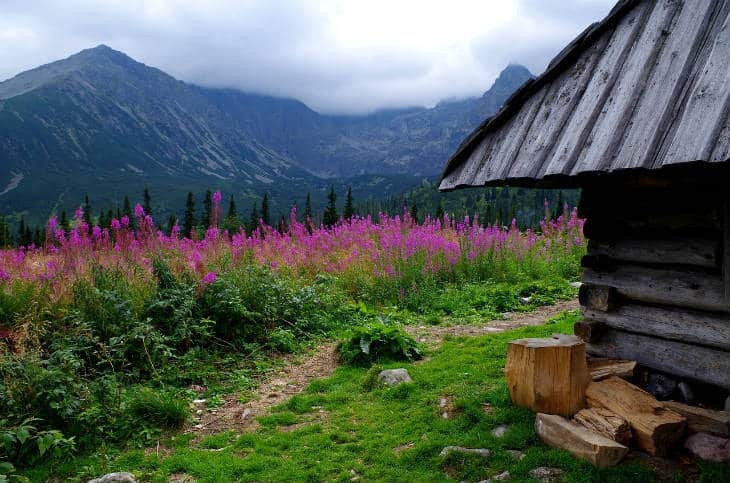 You should also visit Zakopane it’s just by the bottom of Tatry mountains and it’s a great place to see proper mountain houses made from wood. 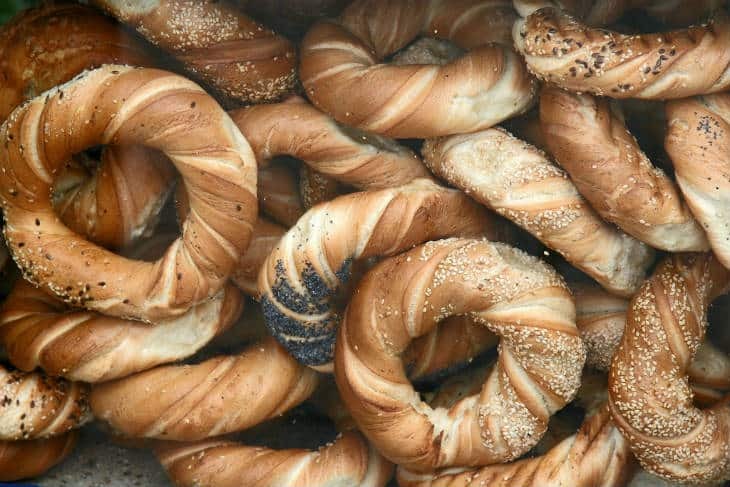 You can also buy oscypek over there which is a special type of cheese that they make over there traditionally. By all means, do order Glog (usually with umlaut) – warm, mulled, spiced red wine with a shot of vodka. Goes down so easy! Also, I loved the soups … from restaurants, village squares. Cabbage and sausage (esp kielbasa!) with either a vegetable base or a tomato base. I spent most of my two weeks in Krakow, trying to pronounce the alphabet letters (approx 40). Polish is an elegant language, structurally, but a lot easier if you’ve been born there and it’s your native language. 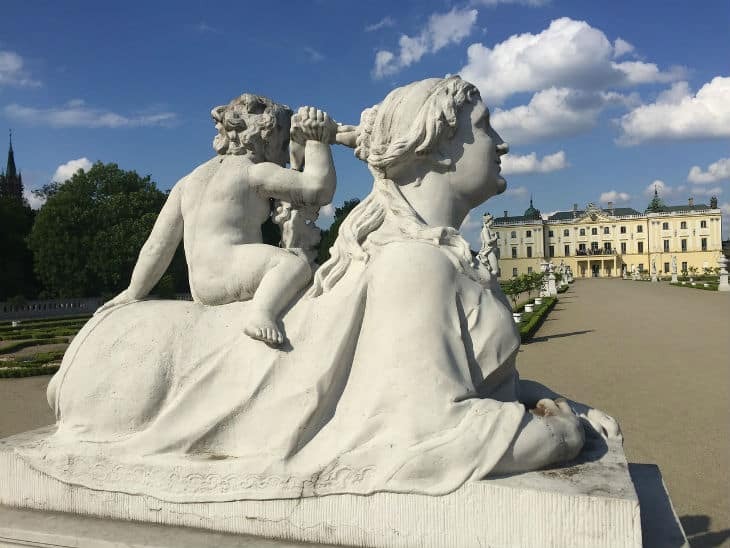 There are many beautiful places to see but do you really think that the most beautiful in Warsaw is The Pałace of Culture and Science? Well, I think there are many beautiful places and buildings in Warsaw, but yes I really think the Palace of Culture and Science is majestic. I haven’t been to Lodz, so that is also why it’s not on the list :) But thank you for the suggestion! Even better if you’ve made it clear that Auschwitz was a German Nazi camp as it’s usually confused around the world due to its location. Thanks for the post. 1. Rudawy Janowickie Mountains, – amazing low mountains take out straivht from a fairy tale. Visit historical site Miedzianka anx fotmer uranium mines in Kowary. 2. Lower Silesia has mote than 1000 castles and palaces. Some are mind blowing. For example Ksiaz. 3. Lower Silesia again – Riese underground compkex. 4.Miedzyrzecz. The biggest underground wwIi facility in while EU. 5. Tatry Bielskie in autumn will make your brain explode. 7. 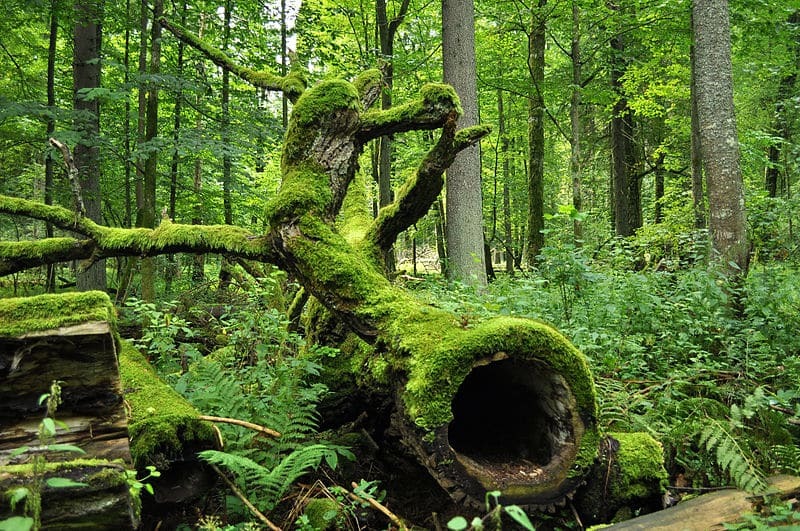 Forests that will make you wander around for weeks – called Puszcza Notecka north from Poznan. Great kayaks routes. 8. Jura krakowsko-czestochowska with its cadtles. Not only Ojcow Park. 10. One small thing that noone mentioned. Poland is a geeat location yo visit other countries around especially going south. Poland-Slovakia-Ukraine-Romania all the time in Carpathian mountains that are totally magical. I am Polish but now living in Romania which is…. stunning. Check it out as well. Thank you for this amazing web. I just reading about Poland and I found many interesting places worth of visit although I am Polish form Warsaw. Poland is exactly beautiful. 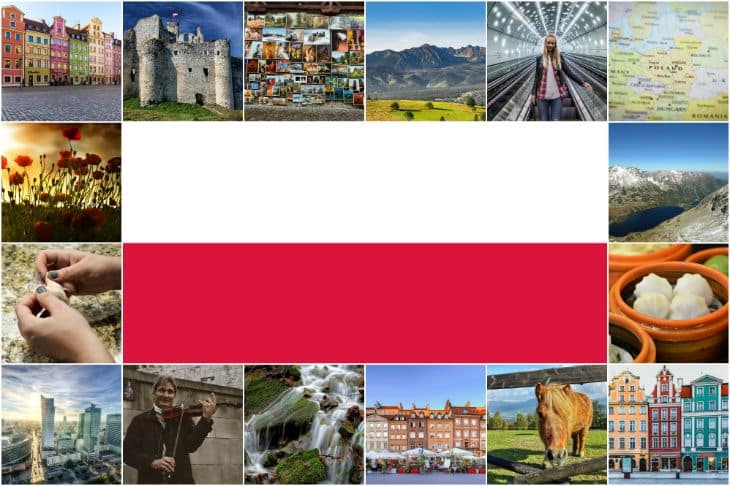 I started create my own web page about Poland so yours is going to be big inspiration. Regard from the UK. I’m a lover of Poland, specially Warsaw. It’s hard to believe that such a sad and grey City changed into an incedible, fascinating and amazing City. My “ulubione miasto”, and the move is on, and will last still for many years; every year new surprises, new projects and renovated “zabytki”. No doubt that in a short future, Warsaw will belong to the most visited Cities in Europe. But I hope that authorities will manage, and that il will not become as Barcelona or other overcrowded Cities. What about magical Christmas illumination in Warsaw and Wilanów Palace? Have you seen what we have done :) ? BIMBER – traditional Polish alcohol, stronger than vodka! You did not mention zapiekanka! Especially, in Krakow. 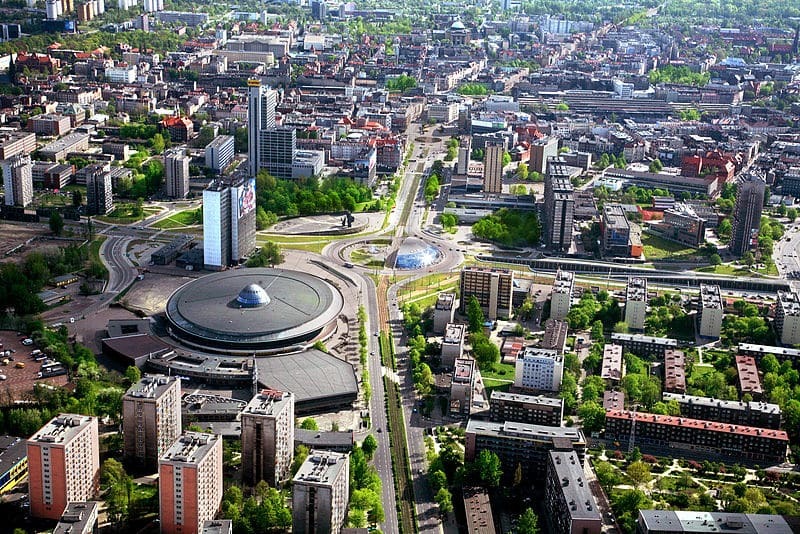 Wrocław, gamma- city, a global city according to GaWc in the 33rd place?! It’s a very subjective list. Justyna, the list is not in any particular order. The numbers is just a reference to the 55 reasons, not for ranking purposes. 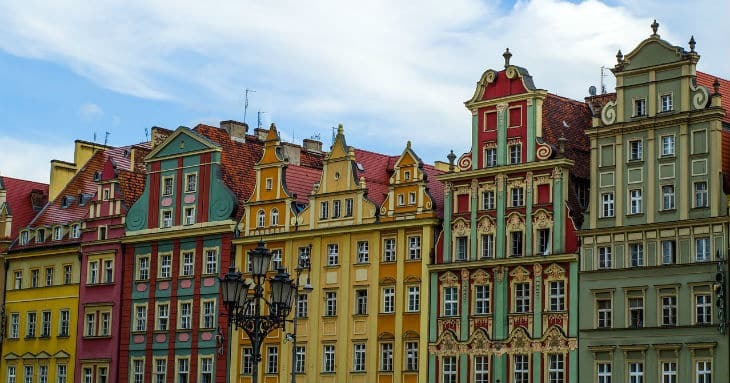 Wroclaw is one of my favorite cities in Poland! I think that Auschwitz-Birkenau is still an obligatory point. It should be in the lead. It is a very important place for Poles who shows how huge their tragedy was.